Andiamo workshops have received workshop toolkits composed of spanners, pliers, screwdrivers, files and other workshop equipments from Innocenzo Colandrini from Italy. “What is an engineer without tools? 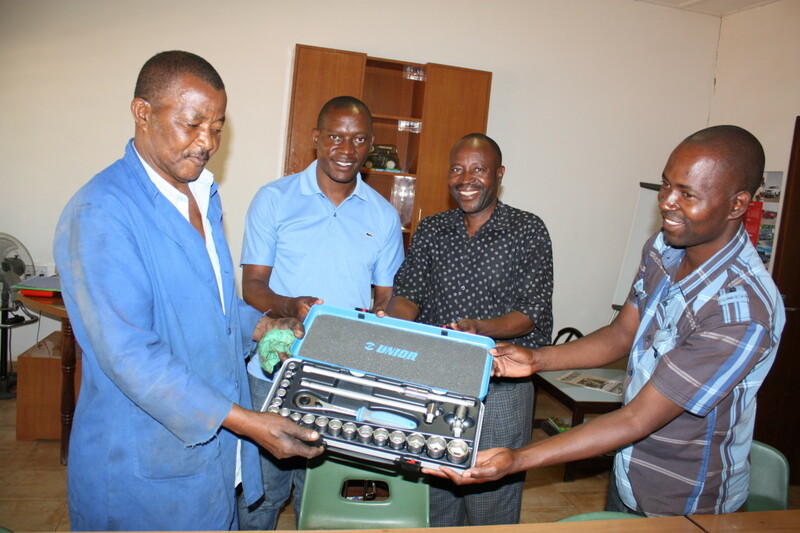 We thank Colandrini for their gifts, they have armoured our workshop” says Mr. Mpweya; the motor vehicle mechanic workshop supervisor when he received the equipments. The new tools are quite a spur for the youths to work efficiently and they will probably enhance the quality of Andiamo Trust’s production. 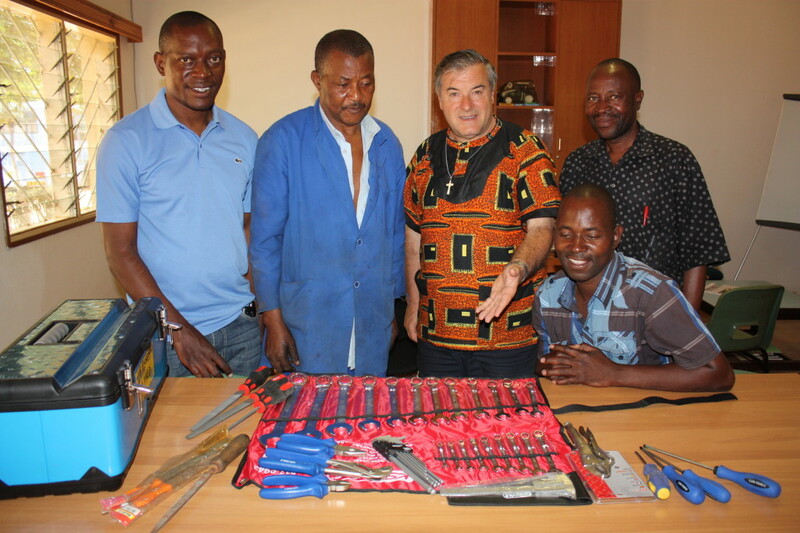 This entry was posted in News from Malawi, Social Development and tagged Andiamo Trust, Andrew Galeta, Fr.Mario Pacifici, Innocenzo Colandrini, Mark Njoloma, Mpweya, Rosario Nkhoma. Bookmark the permalink.